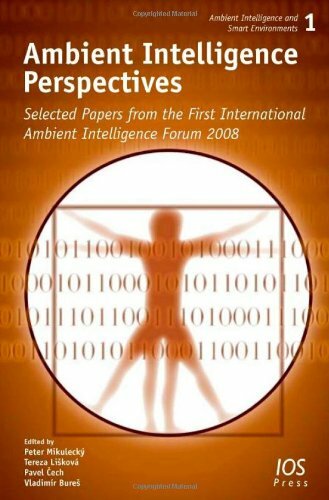 [PDF] Ambient Intelligence Perspectives: Selected Papers from the first International Ambient Intelligence Forum 2008 - Volume 1 Ambient Intelligence and Smart Environments | Free eBooks Download - EBOOKEE! Posted on 2018-01-23, updated at 2018-04-06, by luongquocchinh. Description: Ambient Intelligence Perspectives contains selected papers from the first international Ambient Intelligence Forum AmIF 2008 in Hradec Kralove, Czech Republic. The forum is intended as the beginning of a series of rather broadly oriented discussion opportunities for discussing interdisciplinary, if not transdisciplinary aspects of rapidly evolving areas of Ambient Intelligence. Its aims were to review and discuss recent advances and promising research trends in AmI technology, intelligent environments, methods, middleware development, as well as applications in areas such as healthcare, product lifecycle and transport services. The intention to provide an opportunity of a very broad interaction among a wide rank of authors coming from different surroundings means a great enrichment to all participants and gives ground to the success of the conference. Finally it led towards an interesting choice of three invited and twenty-five contributed papers, which are published in this book. All papers were carefully reviewed by the international program committee. Participants from twelve countries contributed to the scientific program and established a fruitful discussion atmosphere. No comments for "[PDF] Ambient Intelligence Perspectives: Selected Papers from the first International Ambient Intelligence Forum 2008 - Volume 1 Ambient Intelligence and Smart Environments".